This delicate, airy formulation combines mineral pigments, silk and nourishing botanical ingredients such as witch hazel to protect skin without drying. The result: a wonderfully soft, fresh finish. I have always preferred loose powder, but hated the heavy feel it can leave. This powder is completely opposite of heavy feeling. It is light as air, feels like air. Just a few powder puffs is all I need. Light, heavenly smell. This stuff works just fine and does create a decent matte look for my skin, at first which is on the oily side. My skin gets oily after about an hour though. I am going to return or exchange because it has a smell that isn't great. It's a strong, perfume-y smell and while it goes away after a few hours, I just wasn't super impressed compared to the other loose powder I use regularly. Also, the large packaging and container it comes in isn't ideal for my small makeup bag. I like that the powder doesn't seem to fall out and get everywhere with the design, but overall I just wasn't blown away. Love all other products Dr. H I've tried and am glad to be a regular customer. I have never found a better powder to set my foundation. I was surprised that the product was so small. I was expecting it to be in a round container and larger. I have not used it yet since I don’t know if I’m going to keep it. We are sorry to hear you are not 100% satisfied with your purchase. If you'd like further assistance please give us a call at 800-247-9907 9am-noon and 1pm-4:30pm Eastern Standard Time, Monday through Friday. I've been using this fantastic powder for over 10 years. It is natural and actually helpful for your skin. I've actually had a friend get it for me in Germany as well. I now use the website since my whole foods quit carrying it. I recommend using this for young and mature skin. what a benefit. I love this powder but do not like the new container. The old round shape was much easier to use. Powder is amazing. New case design is impractical. 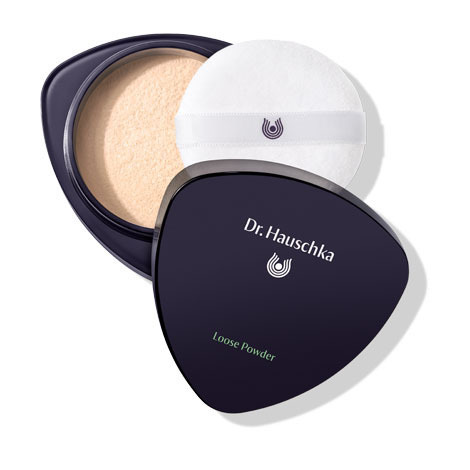 This is the most amazing loose powder I have ever used - I am 35, causasian, have a few fine lines, and my skin is on the dry side, but otherwise normal. Overall I highly recommend it because it does what it says it will do + more, I'm down with the friendly ingredients, and it smells like a dream. HOWEVER the new triangular case is not practical at all. Luckily, I still have and use the old case to refill with the new powder. The old case functions AND looks better. The most important thing about the old one is that you had a 2.5 inch diameter sifter so that you can actually get powder on the brush (that's the point). The new case has a tiny sifter, maybe 1.5 inches and the holes are also smaller - Nearly impossible to get out any product. This just does not work. ALSO the old case was black with gold lettering which looked really cool. The new one is navy with white and some other pastel color - not nearly as cool. This powder absorbs oil, but does not dry out my skin or irritate it, though I have very sensitive combination skin. It looks natural, lessons the appearance of pores, and just gives me healthy looking skin, without being caky! Most cosmetics give me a rash, but this powder does not. I’m sticking with this gem of a find! I love the powder, however, I do NOT like the no access new container. You cannot see the product, you cannot utilize the product well, and you will not be able to ever get to the bottom to use all product. Sent it back, and now looking for a replacement loose powder. Looks natural, works well. Feels and smells great! I have been using the loose powder for years and just got the new packaged one. I am happy to say it works the same as always and better! It seems to keep my oily skin at bay longer than before-a full 8 hours. Thank you. This is a great translucent powder. It has a hint of coverage, feels nice on the skin and blends perfectly with my skin tone. I will re order this product again. This powder is extremely fine and leaves a beautiful finish. Love this powder and it looks great on my skin. Light and translucent, all you need for a natural look. This powder does do a great job. It makes your face look flawless. That being said, one of the things I love most about this company is how the products are natural. This loose powder smells strongly of baby powder. Knowing that baby powder is very bad to breathe in, I sadly won't be using this powder. I do use this, but only in the summer because I find it a bit yellowy for the winter on my skin. Also it could be finer. I find in the winter especially it has a certain quality that adds wrinkles and doesn't look right somehow, in the summer my greasy skin absorbs it though. Natural soft balance your face without feel clog in your pours. 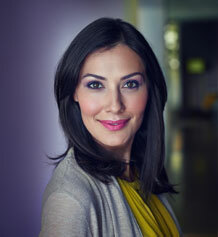 Love all Dr Hauschka natural makeup ? ?